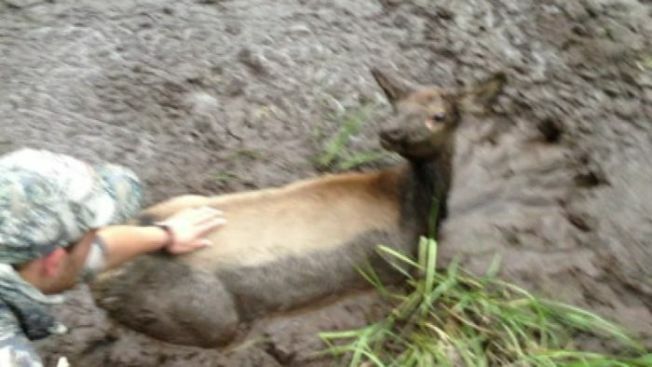 A pair of young hunters on the prowl for a giant bull elk found themselves telling a very different hunting story: they saved a young elk from a mud pit, KTVB reported. Jeff McConnell and Brant Hoover, two Idaho born and raised men, have been hunting all their lives. "I got into archery when I was about five, and that has kind of been my passion ever since," said McConnell. This past hunting season they came upon a meadow and saw a herd of elk run off. “We sat down in the tall grass, and we were sitting there and we kept hearing this slapping around sound,” said McConnell. On the horizon they saw a calf elk stuck in the mud, howling out of freight as the two hunters approached. “(We) got right up to it, and that sound was just crazy,” said McConnell. What could have seemed like a hard choice for some was an easy one for the two men. They were in the right place at the right time, and decided they had to help give the baby a second chance at life. “She was actually slapping her head and neck into the mud. I think to use it as leverage to get out,” said McConnell. The female calf was in distress, and nearby her mother was panicking at the situation. Hoover was worried she was going to charge them. 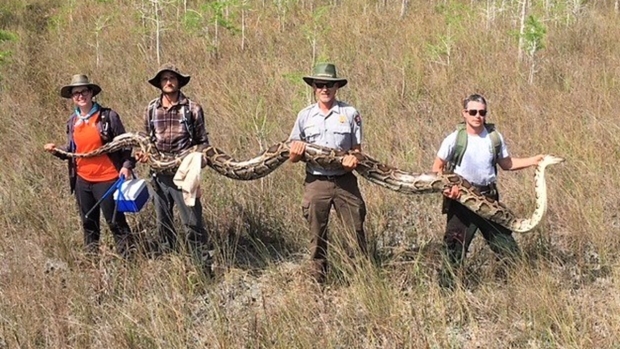 “She probably got 40 to 50 yards from us, and then went back into the trees,” he said. “It was crazy because, she was, you could hear her pacing back and forth,” added McConnell. 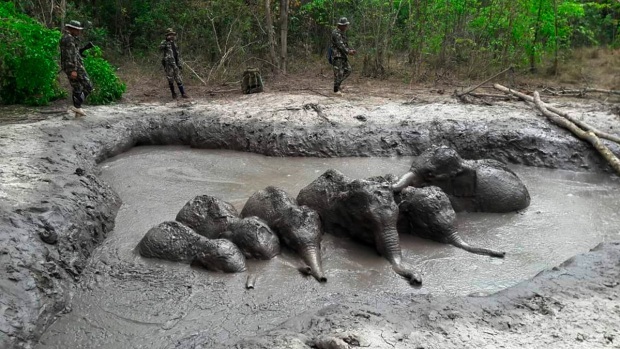 They somehow found leverage in the mud and used all their strength to pull her out. “We both fell on the ground and really the only place the calf had to go was either right between us or right back in the mud and it jumped right back in the mud,” laughed McConnell. Both McConnell and Hoover realized it was going to be harder than they thought. So their next plan was to gather as many branches and stick as they could to stand on them in the mud, giving them better balance. The darkness was beginning to fall on the meadow where they were helping the elk out of the wallow, but they gathered enough strength to try to pull her out by the hind legs once more. “She stood up kind of slow, like, 'I can walk again,' and looked back at us and kind of trotted off and then got to the trees and just kind of took off like crazy,” said McConnell.